St Magnus Apartment offers luxury self-catering accommodation right in the very heart of Kirkwall. It has some of the finest views, being directly opposite the beautiful St Magnus Cathedral, and is a truly inspirational location. Furnished to the highest standards, it features one double, and one twin room accommodation, together with a fitted kitchen and dining area and a luxury bathroom. The first floor apartment has a large lounge overlooking St Magnus Cathedral (Tour times can be found here​​​​​​). Its central location is perfect for getting the most out of your stay in Orkney. The apartment is ideally situated in the centre of Kirkwall, where you can visit Earls & Bishops Palaces Kirkwall , St Magnus Cathedral, Orkney Museum, Highland Park Distillery and Scapa Distillery , to name a few of the attractions in town. 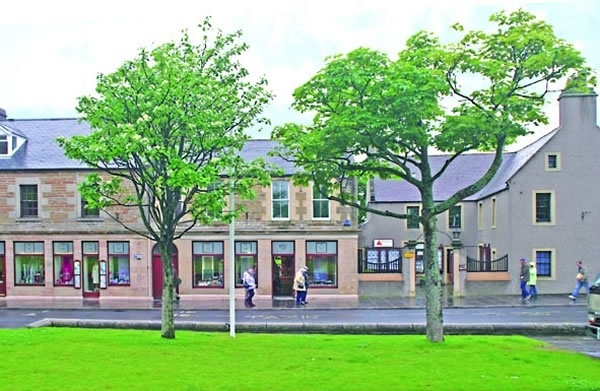 There are many eateries, pubs and cafes in Kirkwall, you can find out more here. The heart of Neolithic Orkney is a 30 min drive from the apartment, heading to the West Mainland where you can visit Skara Brae, Maeshowe, Ring of Brodgar and Standing Stones of Stenness . A further drive of 15 mins will take you to the Brough of Birsay , Broch of Gurness and Earls Palace Birsay.